Fujifilm X-T2 for landscape photography. Since that day in December 2016, my solitary D810 and Nikon prime lenses have lain fallow and unused. There is every chance this will continue until I am convinced I have no further use for them. It’s entirely probable that I need no more persuasion, but I’m being prudent! The Fujifilm X-T2 has won me over and the quality of output is perfectly good enough for most purposes. The tug for me with the D810 is that it is the first dslr that I can honestly say I have bonded with for landscape photography, the dynamic range and outright resolution is superior to any Nikon that came before it. No camera is perfect and the main irritation I have with the D810 is the fixed screen. Any digital pictorially–oriented camera worth it’s salt should have a tilting screen and Nikon were clearly saving that particular benefit as an upgrade carrot to the newly-announced D850. Fujifilm, on the other hand, are rather more amenable to listening to photographer’s wishes and opinions, dual card slots are mandatory for me and the tilting screen of the Fujifilm X-T2 is impressive. The athletic screen on this agile camera is an object lesson for Nikon and the like to take note of. It makes this diminutive power-house of a 24mp mirrorless aps-c camera a joy to use when mounted on a tripod using a square filter system such as Lee or Formatt-Hitech (I use both). I have held landscape photography workshops in Cornwall and the Faroe Islands and used the X-T2 extensively for my personal work. My workshops are an opportunity for me to ‘put my money where my mouth is’, as it were, to my workshop guests. It would be rather pointless to expound the advatages of Fujifilm’s products if I did not believe in the X-T2 as a landscape and travel photography camera! 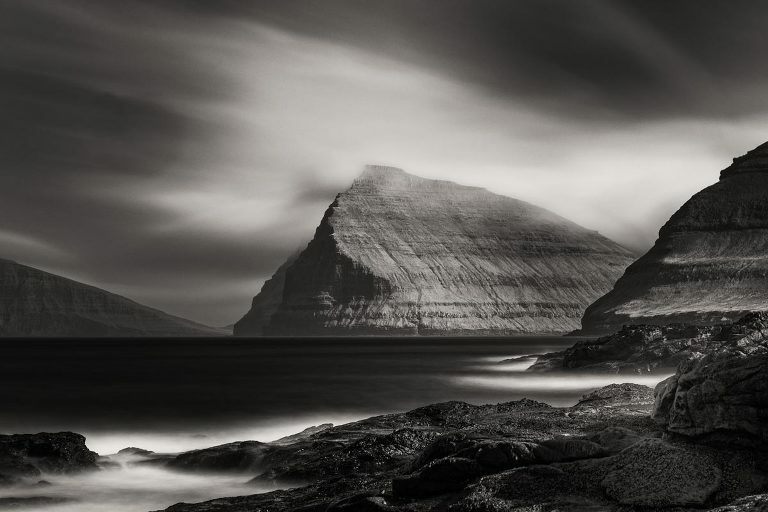 Svinoy, Faroe Islands. Fujifilm X-T2 with 56mm f1.2. Image by Steve Walton. Here we are then, almost 10 months on since my full-fat Fujifilm X conversion. Babies have been conceived and born in that time (not mine), the seasons have gone 3/4 circle and I’m on the cusp of parting company with my Nikon D810. I have to admit, it was easier to ditch the D4’s and D750’s because I never did like them much, despite the fact they were my primary money-makers at the time. The X-T2’s are more svelte, more dynamic, young and pretty. The anticipation was all a bit like swapping a middle-aged, overweight and dimply other half for something younger, more obedient and with less cellulite. Excitement returned. Flippancy aside, what do I like about the Fujifilm X-T2 for landscape & travel photography? Quite a lot, really. I can carry this little camera and two or three primes to locations without having to lug it there. There is a difference between lugging & carrying that’s relevant to both distance and gradient. It’s also very relevant to cabin baggage allowances and time spent standing in check-in and security queues. As an aside, as I pen this I am two weeks away from a Ryanair experience to photographing a wedding in Co. Sligo and I have plenty of Ryanair experience as an hors d’ouevre to photographing Irish weddings. Carrying is something that Ryanair don’t charge you for, yet. Lugging is a different bag. All this is a bit like saying the X-T2 is a small camera by any measure, but you already know that. The downside of this weight-watching is that the X-T2 is rather compromised if you need to operate it with gloved hands. The buttons and menus are built for young and dexterous naked digits, but those same young and dexterous gloved digits can’t update their Facebook status with any great efficiency from a mobile keypad either, so it’s a moot point. 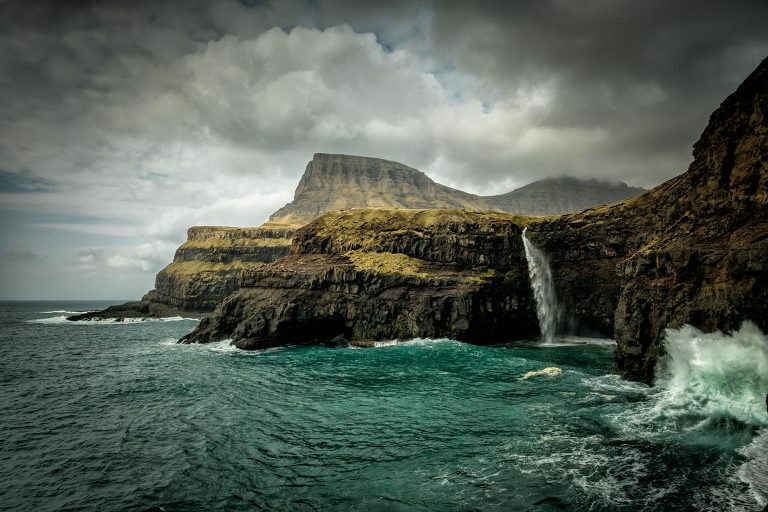 Gasadalur, Faroe Islands. Fujifilm X-T2 with 14mm f2.8. Image by Steve Walton. Clambering down the disintegrating, murderous old concrete steps to my preferred perch at Gasadalur, especially in rough weather is one of the more nerve-wracking of the Island’s experiences, unless you are a pilot whale looking for a Faroe Islands beach holiday. This is a place where anything that presents a trip hazard, such as a camera swinging from a strap, is best stashed securely away. It would be an irony to have survived the almost vertical fall onto jagged rocks at the bottom (unlikely), only to succumb to the impact of a Nikon D810 colliding with your skull after dutifully following you down attached to it’s nicely embroidered yellow and black camera strap. The X-T2 seemed less…aggressive. At least that was the thought going through my mind as I cautiously made the precarious descent, one step at a time. The lighter load made negotiating the gravel that tries to toss you down the quick way somehow easier than the last time, I was also aware that my workshop guests needed me around for a few days more. This is where that flip-screen and mirrorless live view really shows it’s worth: X-T2 mounted on the Gitzo 1550T and a Lee .9 soft graduated neutral density filter on the 14mm. Camera set to manual exposure and manual focus, set the aperture, adjust the shutter speed and apply the Lee .9 grad. All done in an upright position, no ‘test’ exposures needed because exposure feedback is almost instant and I can see exactly what is going on with the settings and placement of the grad. Above all, no disco-leg wobbling on the very edge of a thirty-foot drop straight into the uninviting North Atlantic as I try to squint through an optical viewfinder. Now, that really is a quantum leap forward for this landscapist and a revelation after the D810. It’s just like shooting with my Hasselbald 503CW, I can actually stand up whilst I’m setting everything up. I could even sit down in the right circumstances. It may only seem a small thing, but this freedom of movement allows me to see what is going on around me at the same time and improves my spatial awareness. I found myself talking to a guillemot that had settled on a rock 2 metres away to watch me as I was making images. You can’t engage with guillemots with your eyeball stuck to a viewfinder occular! I like the freedom of the flippy screen. Sold. 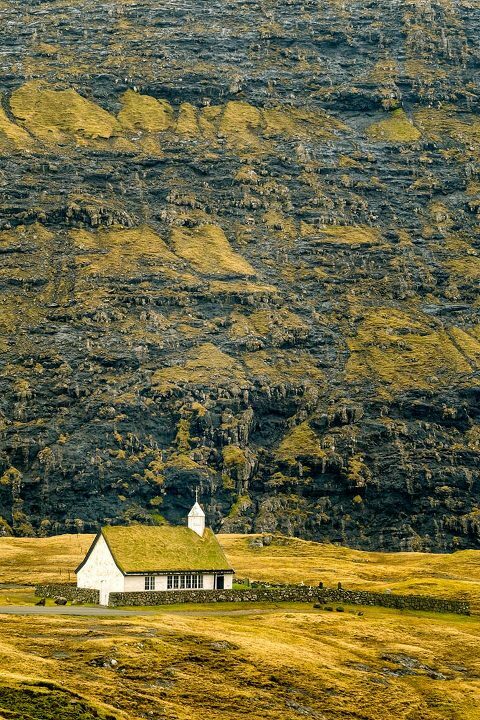 Saksun Church, Faroe Islands. Fujifilm X-T2, 56mm f1.2 Image by Steve Walton. Live view means I can also use the X-T2 hand held, zombie-style. This was another surprise to me until I threw myself into the Fujifilm X system with wedding photography at the end of 2016. I had not even thought about using a camera this way, it’s what wedding guests and package tourists do. The surprise came with how natural it feels when you use this type of camera at arms length, even though it took a while for me to break the habit of looking around furtively to see if anyone was watching first. Now, I just don’t care. Overhead shots, waist level shots and low level shots are all easy with that articulating screen. I also found that I have developed a ‘shutter thumb’ to complement my new zombie style of shooting. High level, low level, portrait format, landscape format come what may, I seem to use my right thumb to trip the shutter when the camera is not at eye level, in which case, I will revert to ‘back button focus thumb’ . Who says men can’t multitask? Fujifilm should be publicly congratulated on their decision to adhere to threaded shutter release buttons, traditional cable releases for the use of. It’s the mark of a real camera. The switch from Nikon has left me with a drawer-full of Ebay-sourced electronic releases of dubious origin. From time to time, I open that drawer to point and snigger at the contents. My Fujifilm X-T2’s and X100F shutter releases are the equal of my Fuji medium format and Hasselblad shutter releases and that’s not a bad thing at all. When it’s freezing cold, almost dark and the sleet and spray are flying, you’ll love a threaded shutter release as much as a favourite meths stove or pen knife. They are dependable and thank you Fujifilm. 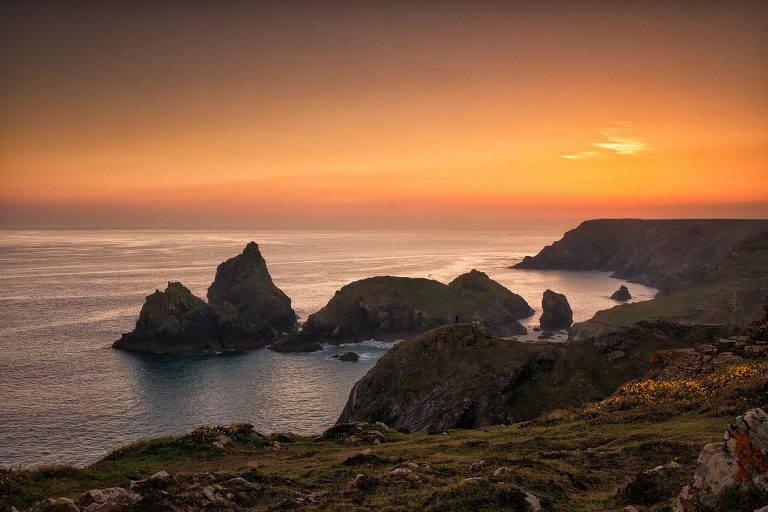 Kynance Cove, Cornwall. Fujifilm X-T2, 23mm f1.4 Image by Steve Walton. That screen comes into it’s own when the camera is on a tripod. Live view, flip-screen, threaded shutter release, smaller form and lighter weight. That just about takes care of the obvious operational and physical advantages I find in using the Fujifilm X-T2 for landscape and travel photography. There are other benefits such as the configurability of functions and personalising of menus that I really like. There are some irritations, like the unnecessary ‘effects’ that can intrude upon your pleasure if not shoved well out of the way of a stray thumb or finger (why, Fujifilm, why?) and the af pattern can easily change to something you don’t want if you’re careless. You do need to keep your wits about you with the X-T2 but there are ways to minimise risks with some judicious nomination of function buttons. Can the X-T2 really cut it for landscape work? Is the file quality from a 24mp aps-c X-Trans iii sensor good enough? I think it is, I love the file quality. It’s a compelling factor in Fujifilm’s favour, their boffins really do know their stuff and I don’t miss Nikon’s acid yellows one bit. I haven’t even started on Fujifilm lenses yet, but I will do later. If you’re still with me, you will have gathered that I think the X-T2 is a good choice for landscape and travel. As always such statements have to be tempered against personal preferences, but I can’t help but like the X-T2 very much most of the time. Crown Mine, Cornwall. Fujifilm X-T2, 23mm f1.4. Image by Steve Walton. One of the reasons I comment so frequently about about the usefulness of the tilting screen and live view is that it makes things much easier when I’m demonstrating techniques to my workshop guests. The ability to show clearly the effect a given aperture has on depth of field or how different strengths of neutral density filters will change the mood of a landscape, or how to select and correctly place a graduated filter etc, is so much easier on location without need to switch between functions. Image reviews which follow in the bar after dinner are more understandable to those who are not so experienced with the benefit of some earlier practical clarification. When the X-T1 was released, I took a good long look at it. After a demo and a lot of consideration, I decided to wait to see if the X-T2 would fulfill enough of my requirements to change systems. It was not a step I would take lightly, my entire income is supported by my photography and every purchase I make has to be considered carefully. To change an entire system is not something I have done since 2001 and the coincidence here is that I changed from using film with Hasselblads and Nikons to using two Fuji Finepix S1 Pros almost overnight. To give that step some perspective, I photographed my last wedding on film in August and my first fully digital wedding two weeks later in September 2001. I have booster grips for both my X-T2’s, they do enhance performance and I used them for a while. As time has gone on, I have found I prefer the basic camera without the booster grip for it’s small size and lighter weight. I am a stills photographer, not a videographer and the 4K video function is not something I would miss if it were not available, but should I ever decide to use it, it’s available to me. My Fuji X journey so far has been fairly seamless, but it has very subtly encouraged me to try new things and work in ways I hadn’t really thought about with a dslr. Until something better comes along, the X-T2 suits me just fine! Slave’s Lookout at Leitisvatn, the place where worn-out slaves were thrown into the sea in Viking times.